The Bialetti moka express water tank needs to be filled with water as needed. After this the espresso coffee funnel filter is placed in the water tank. 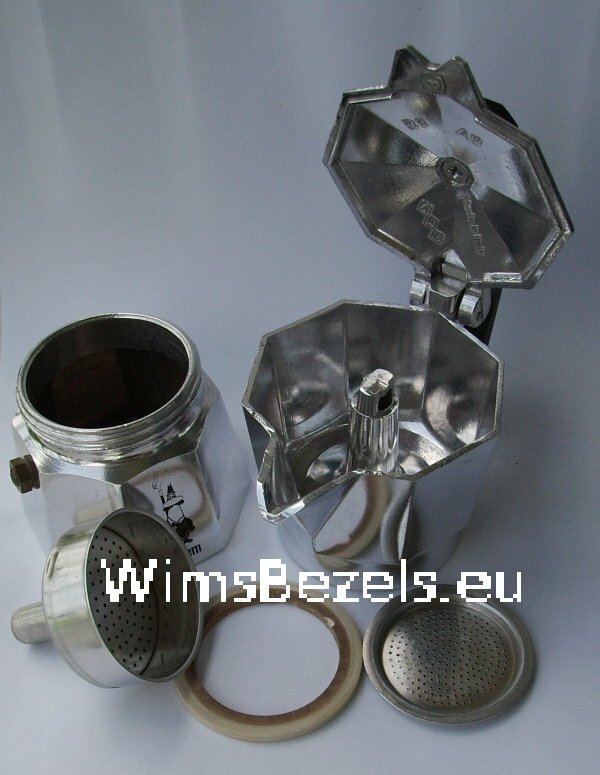 The espresso funnel shaped filter can be filled with espresso coffee as needed. After that first the espresso coffee filter plate and then the gasket is seated at the bottom-side of the (upper) Bialetti espresso coffee-container. Hereafter the espresso coffee-container will be screwed on the Bialetti water tank with security valve with limited force. Remains to put the moka express on the gas-stove. And to remove it from the gas as soon as the Bialetti moka express announces readiness with some gurgling noise. Let the coffee sink down for a moment and: enjoy the best coffee an espresso maker can make.